Much of the material in this issue shows how the economic landscape is constantly changing. What appear to be settled notions in one period can be upended as time passes. The lesson is that one should not be dogmatic—a good lesson for all, but one that may be more critical for business economists. The first piece is the speech Fed Chair Jerome Powell presented at the 2018 NABE annual meeting in Boston. Mr. Powell speaks about the challenges the Fed faces given the ongoing failure of inflation to ramp up, even as the unemployment rate has reached remarkably low levels. He provides evidence of favorable shifts in the Phillips curve: the statistics suggest inflation now responds less to unemployment, and that inflation is less persistent. What does this mean for policy? It seems plausible that the stability of inflation can be traced in part to well-anchored inflation expectations—in turn, that suggests ongoing sensitivity to signs that expectations may become unanchored (indeed, they could even fall, rather than rise). It may be that inflation gains traction in a hot economy, as labor shortages and production bottlenecks work to steepen the Phillips Curve. Or it may be that the natural rate of unemployment is substantively lower than most estimates. On balance, the Chair believes that the current course of gradual normalization of the fed funds rate remains the optimal one for managing these risks. While we have now reached a low rate of unemployment, this has occurred after years of seemingly sluggish growth. Some analysts contend that the slow growth is directly attributable to supply factors: a sharp step-down in the rate of growth of potential GDP. In his paper, Ray Fair takes issue with that diagnosis. Fair argues that any exogenous reduction in the rate of growth of potential (such as a decline in technical progress) would have resulted in large errors in key equations of his econometric model, which can account for major cyclical swings in productivity. He argues that the most likely explanation for slow growth in this expansion was the limited growth in government spending. The manufacturing Purchasing Managers Index (PMI) is one of the more closely followed of all economic indicators. Rolando Peláez examines the ability of this measure to track ongoing growth in GDP. He finds that there was a sharp break in the relationship between the PMI and GDP in 2004, and that analysts who fail to take this break into account could be led astray in their GDP projections. The tools used to analyze economic developments, such as movements in the PMI and GDP, and the conclusions one draws, differ across economists. Thinking and analysis are hard work, and we all, consciously or not, resort to short cuts that our personal experience and training suggest are useful. Karvous Ardalan spells out what this means for economists. Essentially, our views, like it or not, instinctively fall back to old lessons: a “Keynesian” will conclude that weak income calls for government intervention, while a “Monetarist” will conclude that natural forces will restore full employment. These first impressions are hard to reverse. Human decision-making rests on many factors. George Apostolakis and Gert Van Dijk discuss the factors that influence planning for retirement, using evidence gathered from Dutch health sector workers. Do people who express concerns about retirement actively plan for it? Men appear to do so a bit more than women, people with current financial and health concerns do, as do people who persistently think about retirement, and people who want to maintain or improve their financial position post-retirement. The authors argue their results are broadly consistent with the traditional life-cycle model, in which the prospect of retirement plays a major role in consumption and saving decisions. In her NABE presidential address, Mine Yücel gives an overview of the shifting relationship between oil and the U.S. economy. In the immediate aftermath of the 1973 embargo, the belief was embedded that higher oil prices were a decided negative, while price declines were a plus. In the current era, such views should be rethought. Oil and gas production has always been an important domestic industry; sharp price declines (up or down) can create significant disruptions. Indeed, the consumer benefits of lower prices will lag the negative effects the lower prices have on U.S. drilling and production. A big change is the extraordinary growth of the shale drilling industry. The U.S. is now the second largest oil producer. More importantly, perhaps, is that the rapid gearing up and winding down of U.S. drilling and production in response to price signals means that this industry now puts caps and floors on the world price of oil. In the book reviews, Stuart Mackintosh discusses Dani Rodrick’s Straight Talk on Trade. Rodrick criticizes economists for overemphasizing the benefits of free trade, while skipping over the costs imposed on some. This elite viewpoint has affected policy, and provoked political backlash in much of the developed world. Such tensions over trade are far from new. David Beckworth reviews Douglas Irwin’s Clashing Over Commerce: a History of U.S. Trade Policy. While Beckworth dismisses the belief that tariff disputes were major issues prior to the Civil War (and thus, not a cause of it), he agrees that from then through the 1930s tariffs were indeed an important political topic (though he also dismisses the view that protective tariffs were important in generating U.S. industrial growth). From the Depression until the very recent past, U.S. policy was governed by lowering tariff and other trade barriers—the concern now, perhaps excessive, is that long-standing stance may be permanently reversed. In the final review, Daniel Sichel discusses Haskel and Westlake’s Capitalism Without Capital. 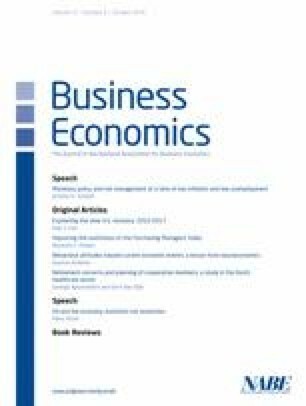 The authors discuss the rapid growth of intangible forms of capital, possible relationships between this surge and the observed slowdown in aggregate growth and increased inequality, and implications of intangible growth for economic policy. Sichel, one of the leading experts in the analysis of the connection between intangibles and economic growth, salutes the authors for bringing together many of the strands of the discussion of intangibles.